Did you know you may not need to call customer service at all. 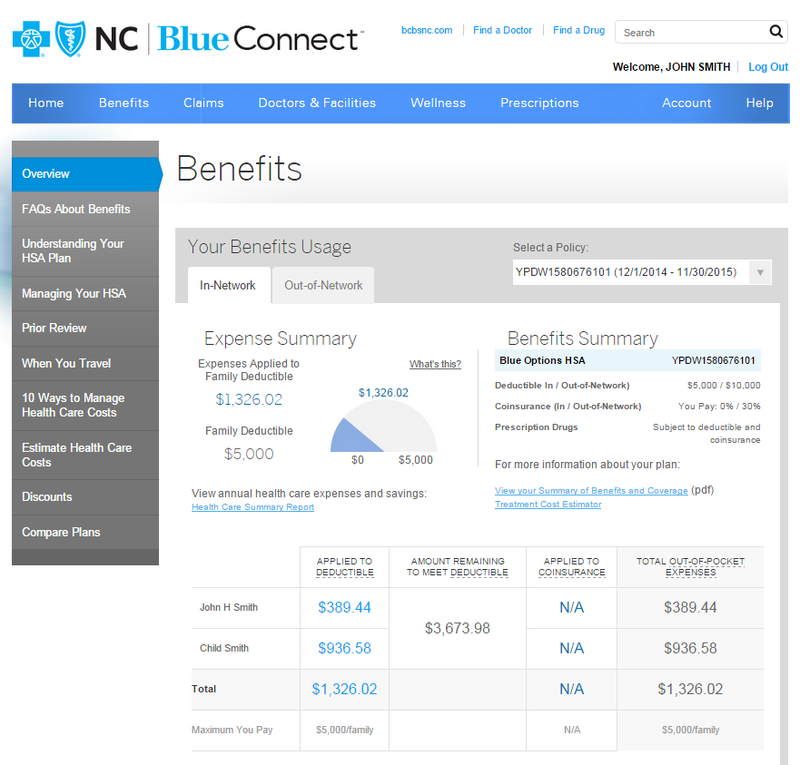 If you haven’t had a chance to check out BlueConnectNC.com, our 24/7 self-service portal for BCBSNC customers, you may be surprised at what you can do there on your own, at any time, day or night. By clicking on the Inbox icon on the Blue Connect home page, you can send and receive secure emails from customer service. You can expect a reply from customer service within 3 business days. Please be aware some plans do not have this option (Dental, Medicare, SHP) and should call the number on the back of their ID Card. 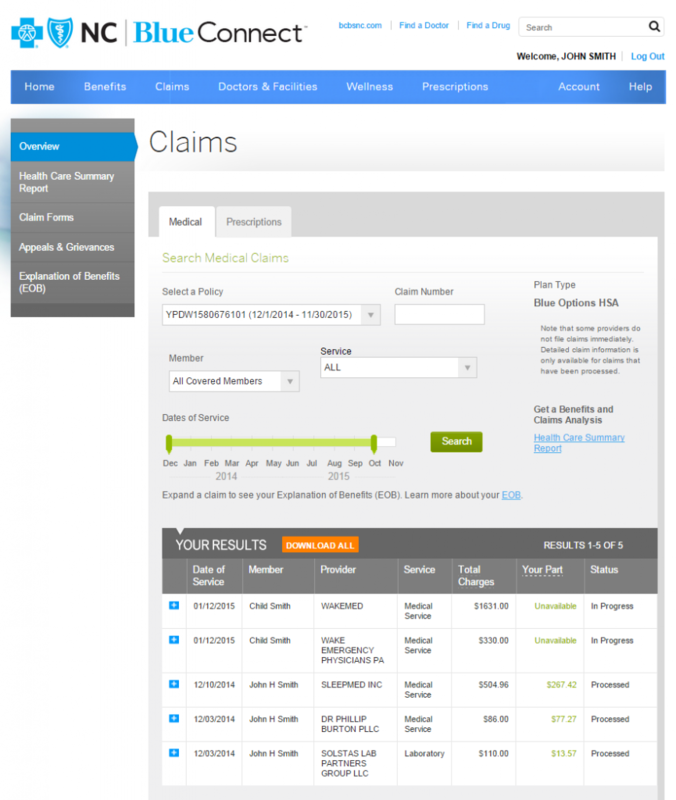 Have a question about whether or not your doctor filed a claim? Want to know how much you’ve spent towards your deductible or co-insurance? It’s all in Blue Connect. A look at claims in Blue Connect. Benefits listed in Blue Connect. For individual plans, if you look on your billing tile – located in the bottom half of the homepage screen – you can see how much you owe for your health plan, when your payment is due, or look at current and previous invoices. Then, when you’re ready, press the Make a Payment button to make a payment online. Have you misplaced your ID card? Just print a temporary one, and then order a new one – all with the click of a button. 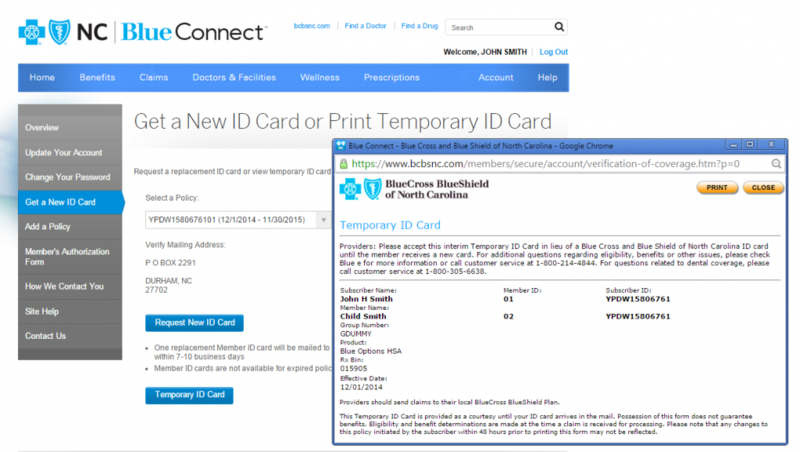 Printing a temporary card in Blue Connect. Looking for an in-network doctor in your area? HealthNAV (accessible through BlueConnect) has been redesign to provide a better user experiance. It includes a full list of primary care providers, specialists, mental health care doctors and more – complete with telephone numbers, addresses, and reviews. The compare feature lets you view ratings, services, board certifications. Even Google can’t do that! Just like you compare costs on clothing, groceries and cars, now you can (and should) compare the cost of your health care. With a few clicks you can find out which doctors offer which procedures and estimated out-of-pocket costs to you. This feature helps you get the most out of your insurance and the best value for your money. Life gets busy! 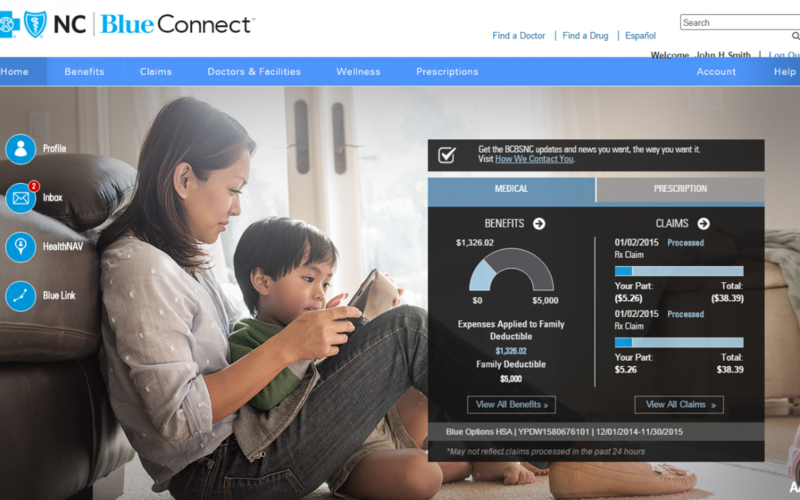 If you want one less thing to worry about, you can sign up in Blue Connect to make automatic payments on your premiums. This is available to individual plans only. While we hope you are happy with the service we provide and the decisions we make, it’s within your rights to file an appeal. You’ll find more information about the process and even a link to download the paperwork in Blue Connect. If you are the type of person that likes to “get it done” at 11:00 at night, just don’t have time during the day, or want a quick and easy answer, I hope I’ve convinced you to sign up for an account at BlueConnectNC.com. While you’re there, take a look and around and see how much you can do to manage your health insurance – and your health. We’re always glad to talk with you if you still feel you need to call us. You can reach us at 877-258-3334. And here’s a tip – we get the most calls on Mondays, so you might get even faster service if you call later in the week.